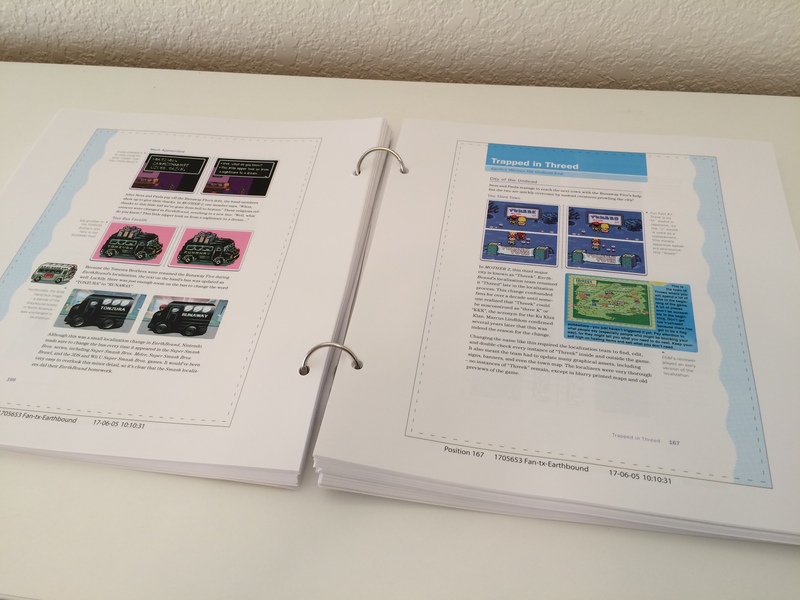 It’s already time for a reprint of Legends of Localization Book 2: EarthBound. 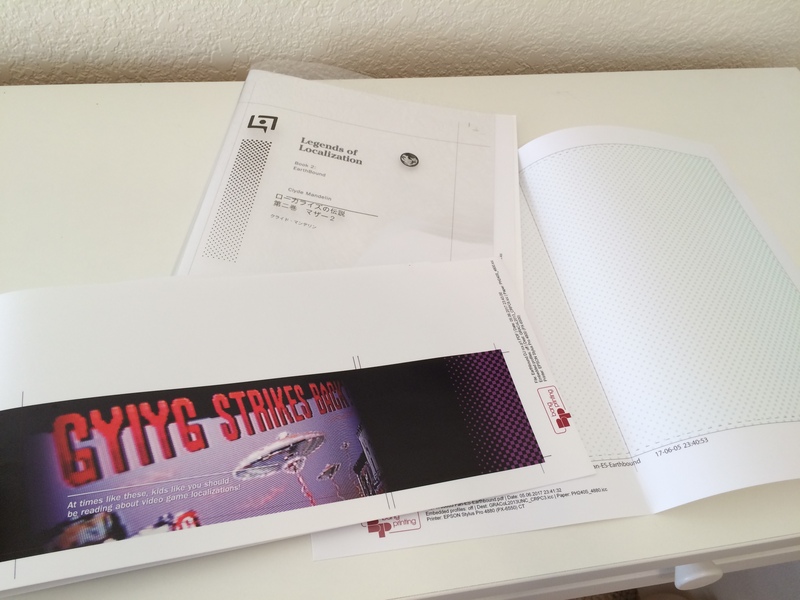 Last week, we received the book proof from our printing company. 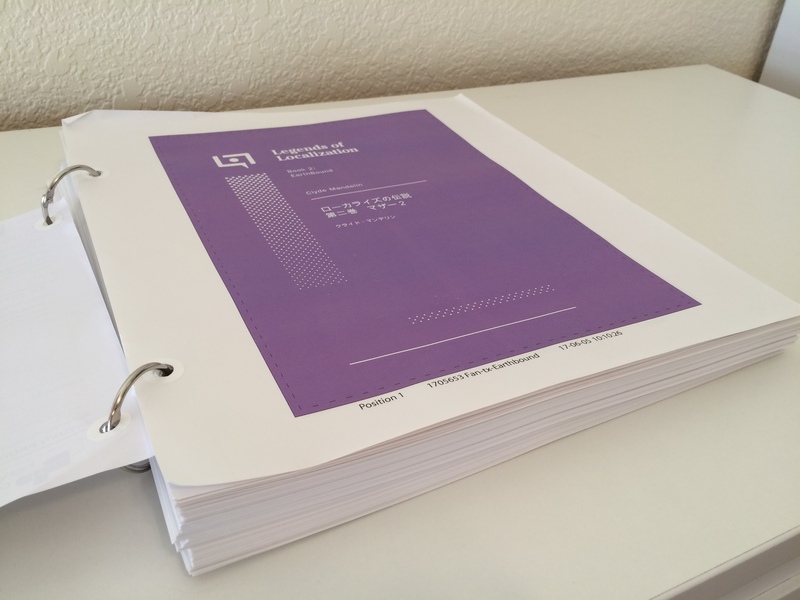 This is the final step in book publishing before a book goes to print. We need to check each page and make sure nothing is wrong, and I especially watch out for pages that may accidentally be in there twice (a flub that happened to the MOTHER 3 Handbook many years back). If we spot a problem on the proof, we need to mark it on the page with a sticky note, and also note it on the sign-off sheet so the printers know where to look. You really don’t want to have to make changes at this point, though, because they get expensive. The proof of our book covers always looks really weird, as none of the color is there. Plus, there are additional transparencies laid on top for things like spot varnish and debossing effects (are these terms confusing yet? I’ll make a post explaining them later). The obi/book sash is also a separate part that we need to check. We’re gonna send the proof back today, then the shipment of new LoL books should be here in about two months!